If you’re looking for a new menorah or some cool Chanukah gifts over the next few weeks, you’ll want to target your search to three stores that have become the only hotspots for Judaica in the Lower Mainland. Sure, there are items here or there that you can find elsewhere, but not with much selection. And, you can shop online, but the problem with click-and-purchase is you don’t get to hold the weight of an object in your hand, to see the real symmetry of a piece from your screen, how it will fit into your home. Here’s where to go if you’re in the market for Jewish objets d’art. Buchan’s Kerrisdale Stationery sits right next door to Garden City Bakery in Richmond, the Lower Mainland’s number one challah maker. The store has had a small selection of Judaica for several years but, when Inna Vasilyev took ownership a year ago, she decided to up the ante and significantly increase the variety. Vasilyev, who also owns the original Buchan’s Kerrisdale, on West 41st Avenue in Vancouver, aims to please everyone in her product choices. You’ll find 99 cent Chanukah candy, inexpensive wooden dreidels over which small kids can drizzle candle wax, fancy hand-painted dreidels and the plastic ones that disappear into the corners of a house each year. Buchan’s has Chanukah games, gelt, colouring books, tea towels, napkins with Jewish designs and menorot. “We have designer pieces by well-known designers and a good selection of candles, too, from simple ones to deluxe ones that burn for ages and smell beautiful,” she said. Vasilyev also stocks non-Chanukah-related Judaica like mezuzot and candlesticks. For shoppers averse to crossing the bridge into Vancouver (or into Richmond), this accommodating store owner will transfer product between the stores to make life more convenient. She’s in the throes of updating her website and hopes to eventually display all her products on it. 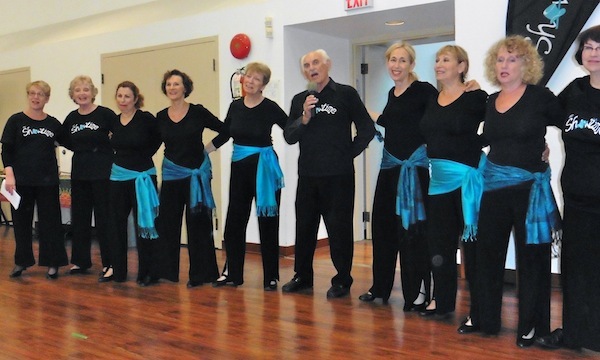 Also in Richmond is one of the Lower Mainland’s longest-lasting synagogue stores, the gift shop at Beth Tikvah. Vicki Northy has been the manager and chief volunteer for the past seven years. In the hours the office is open, office staff will gladly open the store to shoppers and handle the transactions. 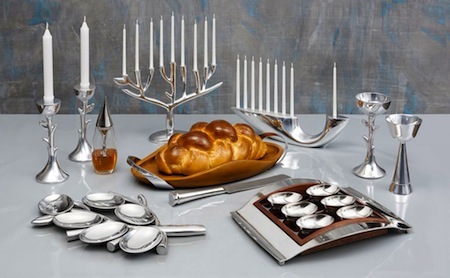 Northy buys new products every year, choosing a variety of fun items like bagel spreaders and mensch mugs, functional items like Kiddush cups, candlesticks and challah boards, and Judaica art by well-known artists including Yair Emanuel, Gary Rosenthal, Lily Art, Adi Sidler and Agayof. The store will be open 11 a.m.-12:30 p.m. on Dec. 3 and 10 this year to accommodate Sunday shoppers. Olive+Wild, the gift and home décor store at 4391 Main St., is quite possibly Vancouver’s only retailer selling Judaica. 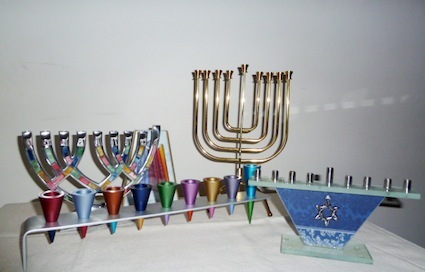 Owners Simon and Bella Zaidel have 18 different menorah designs in stock right now, ranging from menorot that will get your kids excited about Chanukah to artistic beauties in brass, silver and glass. After the sugar-rush from the combination of Chanukah gelt and sufganiyot has worn off and the aroma of frying latkes is leaving your kitchen, you’ll want to begin “the Great Menorah Cleanup.” If there’s candle wax on your glass surface, it’s a relatively easy job involving a dollar store scraper and a hairdryer to melt any stubborn excess wax. Candle wax on silver candlesticks can be harder to eliminate without scratching your metal. Experts suggest placing your candlestick holder or menorah in the freezer for at least 20 minutes and then using your fingernails to flick off the frozen wax. A cotton ball with silver polish or rubbing alcohol can also be a useful resource to swap the area until it’s clean. Watching parents pick up their kids at Beth Tikvah Congregation’s Shalom Preschool and then touring the facility with teacher Esther Karasenty once the hallways had cleared, it is hard to believe that only a year ago, the program was in danger of closing for lack of enrolment. No such problem now, however, and parents wanting to check out the school for their 2.5- to 5-year-old should visit sooner rather than later. Karasenty has been teaching at Shalom Preschool since 2008. “Esther has the skills and training to work with children and a very natural ability to connect with children…. She’s able to build trust and make connections,” parent and schoolteacher Naomi Hazon told the Jewish Independent about Karasenty. Karasenty is “the next best thing to when Mommy’s not around. 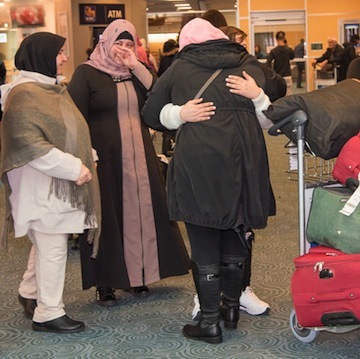 I don’t feel worried, ever, when I leave my daughter here,” Hazon said. In addition to her teacher credentials and extensive experience – in early childhood education and instruction, and in teaching special needs children – Karasenty also speaks five languages: English, Hebrew, Portuguese, Spanish and French. Yet, even with such a capable teacher, when Hazon went to register her daughter Maayan last year, she was told that the preschool was probably going to close within a year because of low enrolment. When Hazon found out that the preschool she herself had attended as a child might close, Karasenty said, “She just said no.” Hazon “worked really hard to bring it back to life. It was amazing,” said the teacher. When she joined forces with Beth Tikvah to open it up beyond the synagogue community, “she reached out to everybody and that made the difference,” said Karasenty. As well, Beth Tikvah hired a new program director, Hofit Indyk, who has worked with Hazon to advertise and market the preschool. “We have updated our website and we advertise more on social media,” said Hazon. This fall, five of the eight students will be Jewish. Other cultures represented include Japanese and Indian. “So, we have really mixed families,” said Hazon. 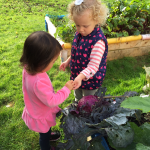 Shalom Preschool runs Monday through Friday, 9 a.m.-noon, with Shabbat-themed programming every Friday. The preschool is still accepting registration for the fall. For more information, visit btikvah.ca/learn/shalom-preschool or call 604-271-6262. Purim, at its heart, is a story about unseen forces. Throughout the entire Megillat Esther there are numerous instances of divine intervention, even though G-d’s name is not mentioned even once. In that way, Purim provides a microcosm of our lives, even in this day. As we all know, this holiday offers an opportunity to be merry and celebrate our nation’s survival at the brink of destruction. But this chag also gives us the chance to consider and appreciate the often positive and unrecognized forces at work in our lives, which help shape our families, relationships and, indeed, our Jewish community. By way of background, my husband and I moved to Richmond from Israel just a few years ago. We both had successful jobs in Tel Aviv and were living a block from the beach, but we knew that when we wanted to start a family, we wanted to be closer to our parents. Last September, my husband and I welcomed our son, and began to seriously consider the important role a synagogue would play in our child’s life – for his Jewish identity, education, relationships and milestone occasions. It was just a few short weeks later that we all had the chance to attend a Shabbat service at Beth Tikvah, a 200-family-strong congregation in Richmond. The services had ruach and intent and the congregation was warm, welcoming, comfortable and child-friendly – in short, it was a perfect fit for us. Just like the story of Purim, where “natural events” can seem random, so, too, could our introduction to Beth Tikvah be viewed as serendipitous. But it is possible to discern the unseen divine in the human forces at work – in this case, through a special congregation, whose members and leadership reached out to us like family. These types of inspired instances are all too common in all our lives. I’ve seen it firsthand. I’ve seen the parents who run their children around town so they can attend Jewish day schools, participate in Hebrew school activities on weekends and evenings, and participate in Jewish-oriented programming. All so their children – the next generation – will have a strong Jewish identity and foundation upon which to grow. Or, our teens and young adults, who participate in chesed programs and tikkun olam projects, exemplifying Jewish values and displays of kindness. Not only do they brighten up the days of those they help, but they help make our community strong and their actions inspire others. This Purim, we should celebrate. Not only the unseen miracles of Purim, of which there were many, but also the often-unsung forces that drive our Jewish community every day. The congregations and their members who welcome newcomers into their fold. The parents who instil Jewish values and identity in our children. The youth who devote their time to helping those less fortunate and repairing the world one small step at a time. These are the tangible forces of our modern-day Purim, and they are miraculous in their own right. There are many events around Purim, so go out and celebrate with friends, family, and your community. I will be celebrating with my Beth Tikvah family, and invite everyone to join. For more information about Beth Tikvah – and other – Purim programming and activities, please see the Jewish Independent’s Community Calendar, either in this issue and online. Hofit Indyk is program coordinator at Congregation Beth Tikvah. Change is hard. Ending one thing and beginning another can cause stress, and can even end up feeling like a poignant loss. It’s no different in the realm of synagogue life. When a long-serving rabbi leaves his or her position, the congregation may feel as though they exist in a vacuum and may need to go through a sort of grieving process before moving on. The local community is in the unique situation of having had two rabbis of well-established congregations leave their pulpits in the course of one year. 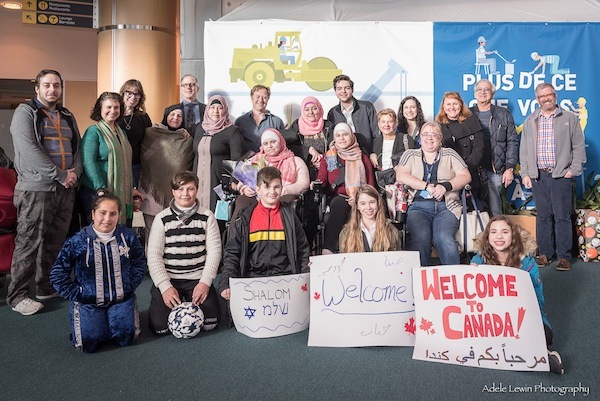 Both Beth Tikvah Congregation, Richmond’s Conservative synagogue, and the Renewal synagogue in Vancouver, Or Shalom, are in the process of adjusting to life after the leadership of rabbis who had been with them for nearly a decade. 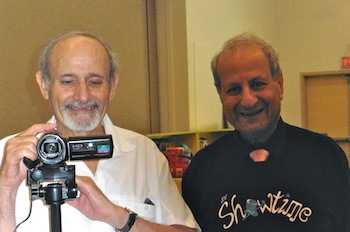 Beth Tikvah’s Rabbi Claudio Kaiser-Blueth has retired from synagogue leadership, serving over the years as a congregational rabbi in both South and North America. Or Shalom’s Rabbi Laura Duhan Kaplan, who got smicha (rabbinical ordination) after a career as a university philosophy professor, has returned to academia; she is now interim director of Iona Pacific Inter-Religious Centre at the Vancouver School of Theology at the University of British Columbia. The vacuum left by the departure of two such well-loved rabbis is not easy to fill. Both congregations have taken the course recommended by their movements for rabbi replacement: hire an interim rabbi to assist with the transition. According to Rabbi Howard Siegel, Beth Tikvah’s interim rabbi, the position of interim rabbi is now a career choice, even for young rabbis starting out. “The Reform movement has a very sophisticated course for interim rabbi training,” he told the Independent. 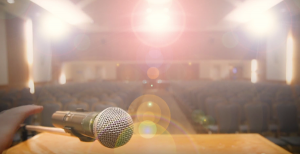 “There is a seminar the Conservative movement provides to specialize in this area, as well.” Siegel has acted as interim rabbi for a number of congregations over the course of his career and mentioned that he could lead the seminar with the experience he has accumulated. 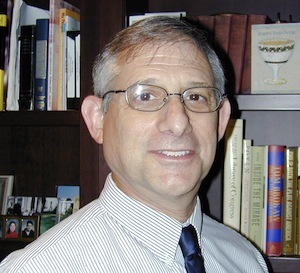 Prior to becoming a rabbi, Siegel earned a bachelor of science from the University of Minnesota, a bachelor of Hebrew literature from the University of Judaism in Los Angeles and a master of arts in Judaica from the Jewish Theological Seminary, where he also received his smicha in 1978. 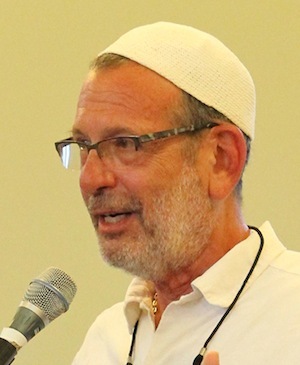 Or Shalom’s interim rabbi also has unique qualifications for helping congregants deal with the transition to a new permanent spiritual leader. Rabbi Louis Sutker recently retired from practising psychology. Prior to working in private practice, he was a professor of psychology at the University of Victoria. Sutker came into his smicha later in life, training at the same time as Duhan Kaplan, and he has experience as acting spiritual leader of Victoria’s Congregation Emanu-El before they found their current permanent rabbi. “Being a psychologist is good preparation for being a rabbi, and thinking like a rabbi is good for being a psychologist,” said Sutker when asked about his decision to do formal rabbinic studies. He said he is enjoying the experience of working with congregants in a variety of ways, and towards helping them choose their next rabbi. Unlike Sutker, who knows his term will end in June 2015, Siegel said that he’s happy to stick around for a couple of years. He feels it’s his role to slow the congregation down so they don’t hire the wrong person. Or Shalom, however, is farther along in the process; they will be soon hosting candidates at the shul. One bonus of being an interim rabbi, said Sutker, is that he or she has the opportunity for change, as well, while helping a congregation transition. Siegel, who hopes to retire with his wife to Austin, Tex., once Beth Tikvah fills the permanent position, sees it another way, too. He is thrilled to be in his position, not only because one of his four children lives in Richmond but also because he can be especially forthright as an interim rabbi. “If I’m not happy, I can be open and I don’t have to worry that my contract won’t be renewed!” he joked.